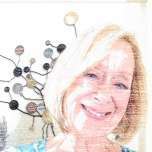 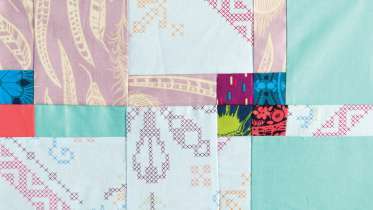 The Pop Rocks Block is as fun as it sounds, using subtle and intense fabrics from your stash to create playful contrast. 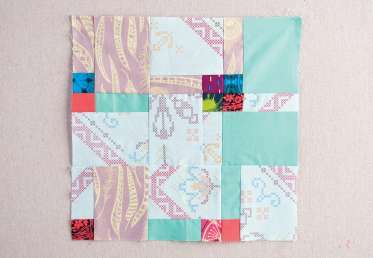 Anna Maria Horner’s scrappy design is a modern take on a 9-patch block, with random pops of color sprinkled throughout. 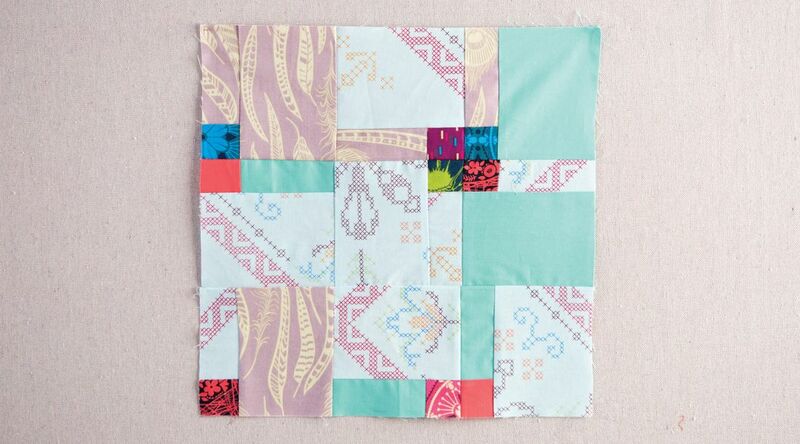 Round up your light and dark fabric scraps and start putting them together to create these unexpected blocks.